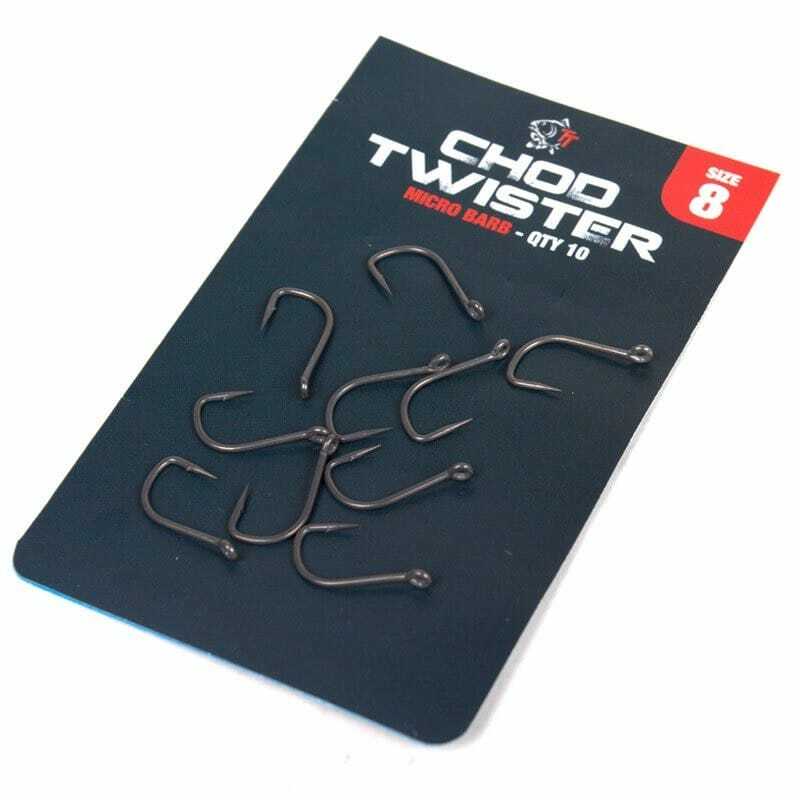 The Chod Twister's unique shape brings the same fast turning hooking performance to chod rigs as the best selling Twister has to bottom bait presentations. Chod Twisters sit perfectly under D loop mounted pop-ups, spinning instantly when carp lift the hookbait or touch the curved link. The slightly enlarged out turned eye allows easy whipping of high diameter link materials like Chod-Link, heavy mono or fluorocarbon. Like all Fang patterns the high carbon Japanese steel of the Chod Twister offers up to 20 per cent greater strength for the same wire gauge, combined with the renowned sticky sharp Nash points.